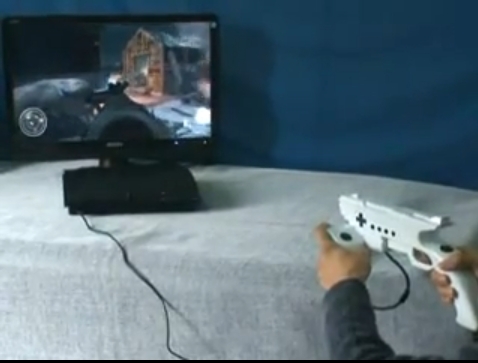 Footage has just surfaced on a new prototype light gun for the PlayStation 3. Called the “XCM XFPS Fire Light Gun,” it is currently about 70% completed creation-wise. Check out a video of it in action after the jump. This gun will be available for PlayStation 3 owners around the end of February or early March. An Xbox 360 version is also going to be released approximately two months later. The original site this video was found on is in the Netherlands, so no word yet on if this accessory is coming stateside.